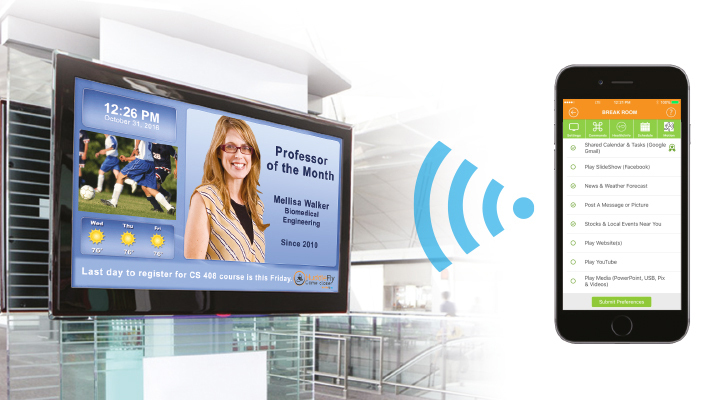 Wi-Fi enabled affordable digital signage player for businesses. Control content from a smartphone. Hookup to any HDMI TV or PC monitor. Play YouTube or PowerPoint in a continuous loop. 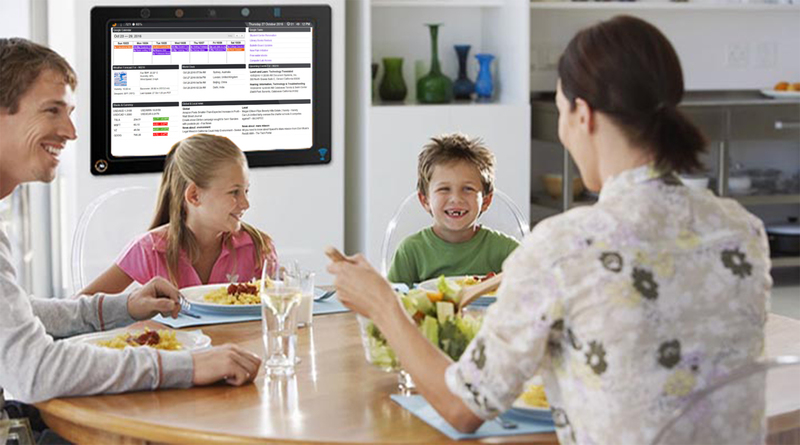 Internet enabled group productivity device that brings families closer. A smart device that can be hung on a wall or hooked up to existing TV/monitor and controlled from a smartphone. HuddleFly integrates with Google, Facebook and other popular services. HuddleFly is an IoT signage device. HuddleFly is a Wi-Fi enabled smart digital signage player for businesses or homes. Think of this as a WeMo app that controls your Wi-Fi enabled lights in your home. You can control HuddleFly and its content using an iPhone app. Hookup HuddleFly to any HDMI TV or a PC monitor. Securely display shared/color-coded calendars, slide-show photo albums from Facebook, weather, news, local events, websites or Play YouTube, USB or PowerPoint in a continuous loop. Imagine a scenario where a medical practice wants to display important vaccination information to their patients in the waiting room, or a small business wants to display color coded team calendar in their lunch room or a restaurant wants to display their menus and employee of the month on their flat-screen TV, or a university wants to alert students of the last date of registration for CS101 course on their multiple locations. Solutions to these scenarios are simple with HuddleFly. HuddleFly app is FREE to use. With a FREE subscription you can control one HuddleFly device and can enjoy most features. HuddleFly requires a paid subscription to control more than one device. Also paid subscription opens up the use of premium features such as the shared Google calendars, shared Google task list and Local Events Near You features.